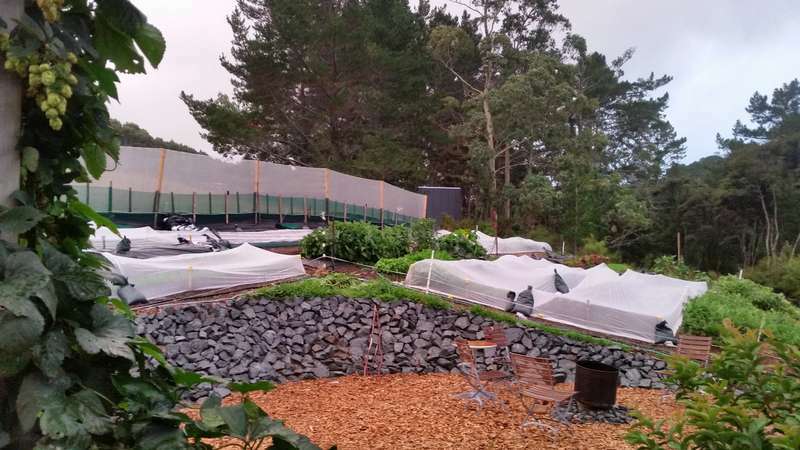 landscaping and market gardening near the beach in Matakana country, New Zealand. 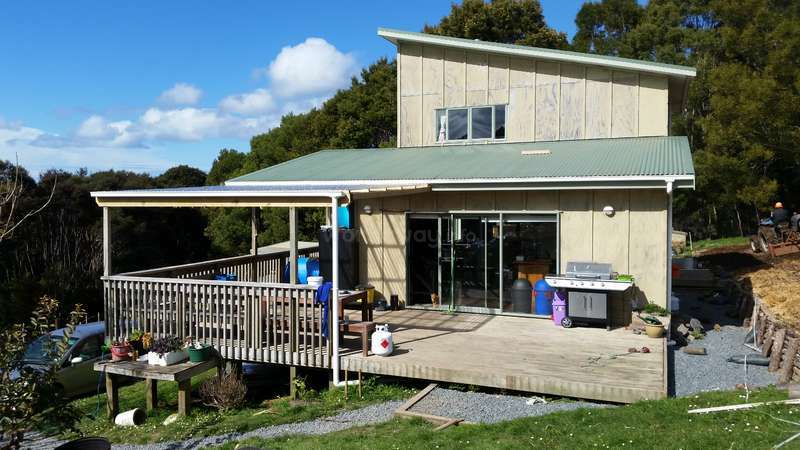 Hi, we're a family of 4 living in the beautiful Mahurangi peninsular, about an hour north of Auckland. 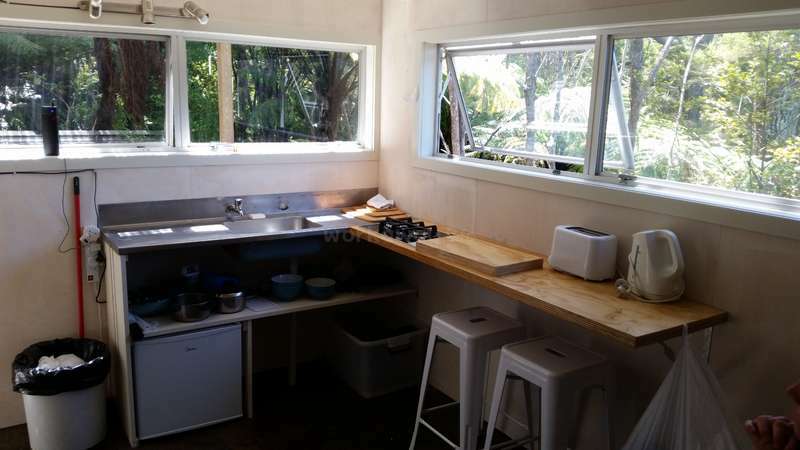 we're offering a self contained 1 bedroom 'mini house' on our 2 hectare property in exchange for 15 hours work per week, split over the week. The work will vary depending on the day but mostly landscaping and helping in our market gardens, specializing in salad greens. The work is generally physically demanding so a high level of fitness is a definite advantage. We have 2 children, luka 14 and mali 11. 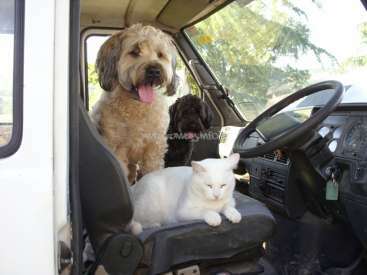 We also have 2 large dogs, 2 cats, some sheep, plus a few chickens! we have market gardens using a no till method called 'bio intensive'. this is not just organic gardening but creating nutrient dense greens for the local farmers market in Matakana. we enjoy meeting and socializing with people from different countries. we have traveled extensively ourselves and love exchanging travels stories! we only take couples or 2 friends willing to share the 'mini' house together. 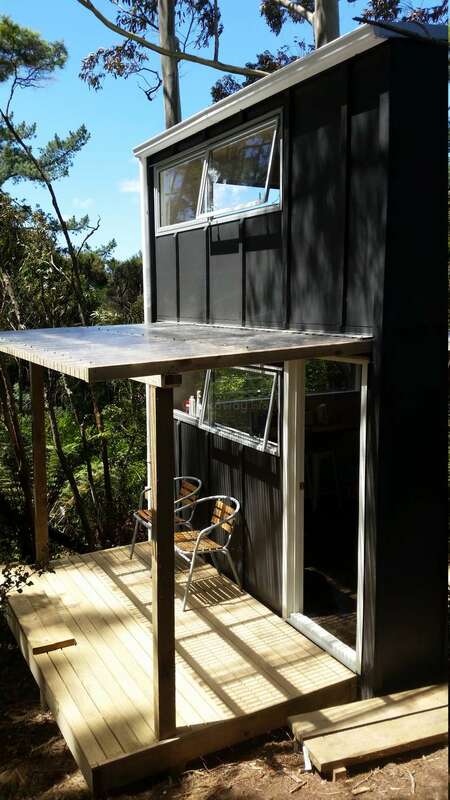 A one bedroom 'mini house' in a bush setting. the space is small but perfect for 2 to share. there is a living/kitchen downstairs and a mezzanine upstairs. 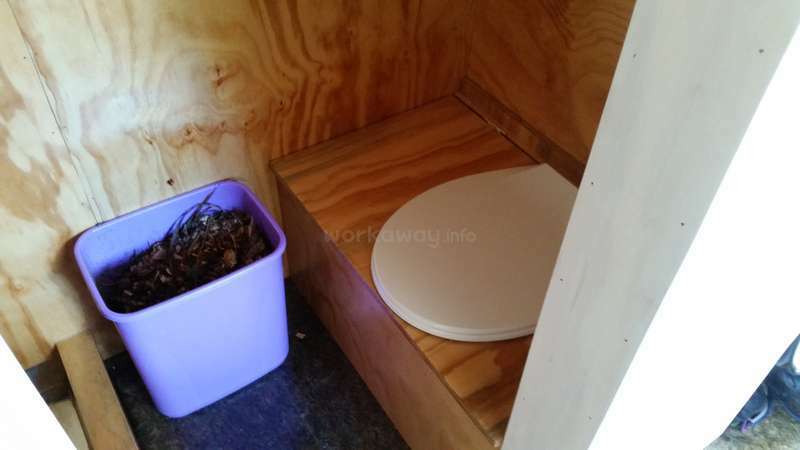 there is a small shower room and composting toilet. this offer is accommodation only so you provide for your own food. we live just outside the little settlement of 'snells beach' and a short drive to the 'matakana wine country' area. there are plenty of things to do in your free time. the local beaches are lovely and there are lots of walks in the area. we offer our bikes for you to use to explore. Igor and Oksana are a lovely couple! they stayed with us for 2 weeks and were wonderful to have on our property. They worked very hard with all the various jobs we gave them to do and were always positive and happy. igor took some lovely photos of our farm and produce which we used on our FB page. we recommend them very highly and wish them all… read more the best for their wonderful travel plans. We spend a great time with Liz family. It was third our volunteering experience and the best one! We worked in garden together and they told us many good information about gardening. We could use bicycles to go in shop and a car to visit Warkworth city center. Liz very helped us to open a bank account here. 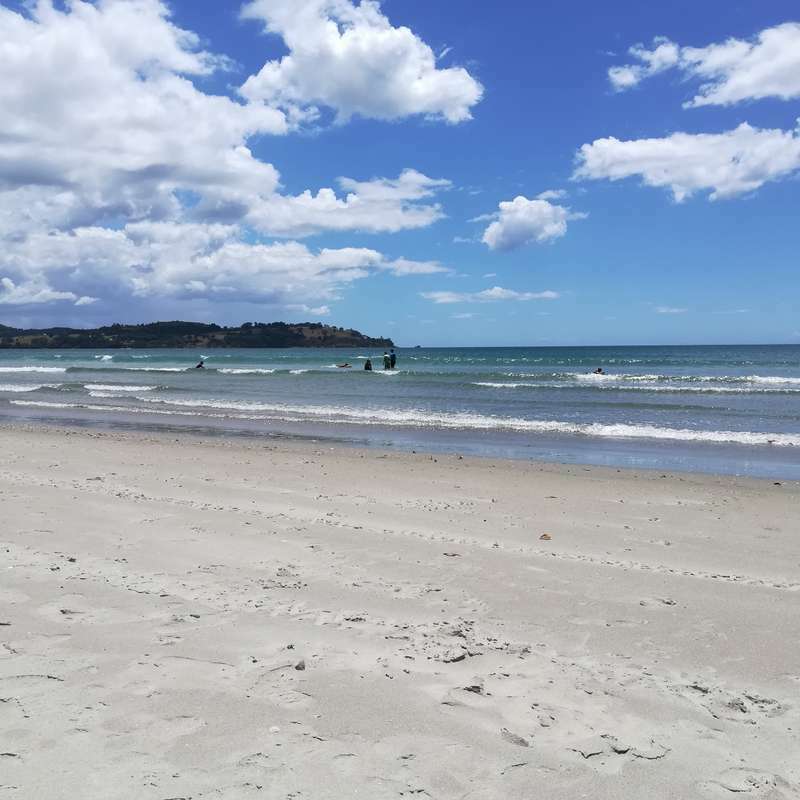 One time we drive to Matakana market,… read more it is very nice place. We were happy to be with your family, thank you very much!!! Daniella and Manfred were a complete delight to have staying and helping us! They were always positive, hard working and interested in what we are doing. We enjoyed socializing with them and learning all about country life in Austria. They taught us a very enjoyable card game that we have been playing ever since! We highly recommend them and wish… read more them the very best experiences on their 3 months here in NZ. Many thanks to you both for your kindness with Billy! We stayed here for two weeks and we enjoyed it so much! Andrew and Liz are so kind and warm people, well traveled and full of storys to share. Although we catched them in a very busy time of the year they did everything for us to make us feel home. The work in the garden is fun and the area around their property is full with amazing views to… read more explore! A very special thing was that we could use their car and drive around to some beautiful beaches! We had 2 awesome weeks at Liz place. The 'minihouse' was the best accommodation we had during our workaways. It’s well equipped and cozy. We appreciated to borrow their bikes and even the car for exploring the region. The workload was completely fine, and we enjoyed supporting Liz and Andrew. Thanks again for the delicious coffee during the breaks… read more and the lovely conversations. Highly recommended hosts. Julia and Hendrik were great! a real pleasure to have around. Happy and energetic...great workers! i recommend them highly. Thanks Julia and Hendrik! Andrea and Marketa were simply AMAZING!!! They were so so lovely to have around. the kids loved them and said they were their favorite workawayers! They worked incredibly hard with limitless energy. i can't recommend them highly enough! After borrowing our car a couple of times, Andrea gave it the 'clean of its life'! i think she must have spent 4… read more hours doing it. They were always positive and friendly with huge amounts of enthusiasm for any and every job we gave them. i wish them the most amazing time on their year of travels and hope we can visit them sometime in Czech republic! we miss you both too..............!! Thanks Rita and Eric for your hard work. You totally nailed that paddock! (amongst other things). it was a pleasure having you guys around, and having great conversations. All the best with the rest of your travels! We had a great time staying with Liz and Andy (and Luca and Marley). Everyone is warm and friendly. Although we weren't able to stay longer, we really enjoyed our time doing this workaway. Very relaxed and happy atmosphere. It was the perfect ending to our NZ trip. We enjoyed lively conversations about NZ and the world. Highly recommended hosts! Best workaway experience EVER! My boyfriend and I stopped here first on our NZ adventure and ended up staying six months! (Even Christmas) It was a great fit. Liz and Andy are thoughtful hosts who made us feel welcome and comfortable. 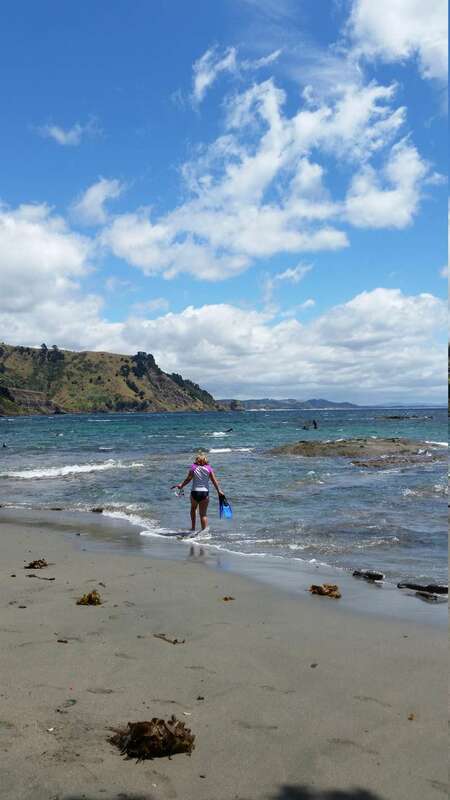 Snells beach and the surrounding areas are beautiful and there was always plenty to explore. We learned a lot… read more about market gardening and organic growing methods, and Liz has a great collection of gardening books that I found interesting. The work was fair and manageable. Our accommodation was the best I’ve seen from workaway hosts. 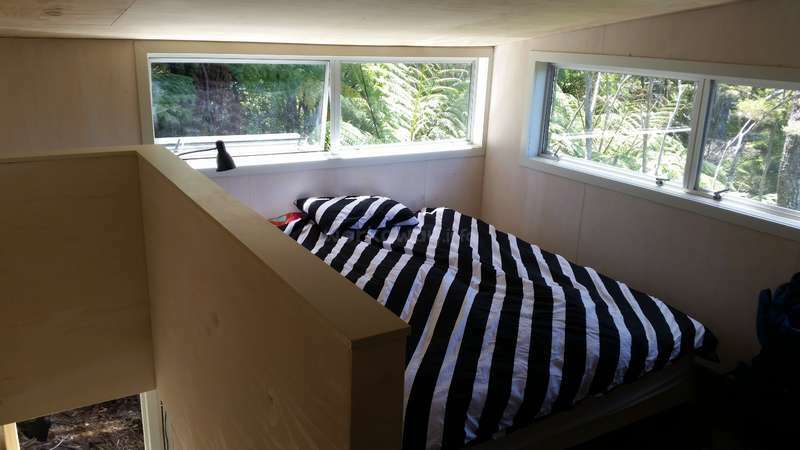 We had privacy in our own two story tiny house, surrounded by native bush. Luka and Mali are Liz and Andy’s amazingly creative and thoughtful children. There was never a dull moment around the house and they were incredibly kind to let us be a part of their home for so long. There really aren’t enough words to describe how wonderful our experience was so you’ll have to experience for yourself. Love y’all! First amazing experience with this lovely family. 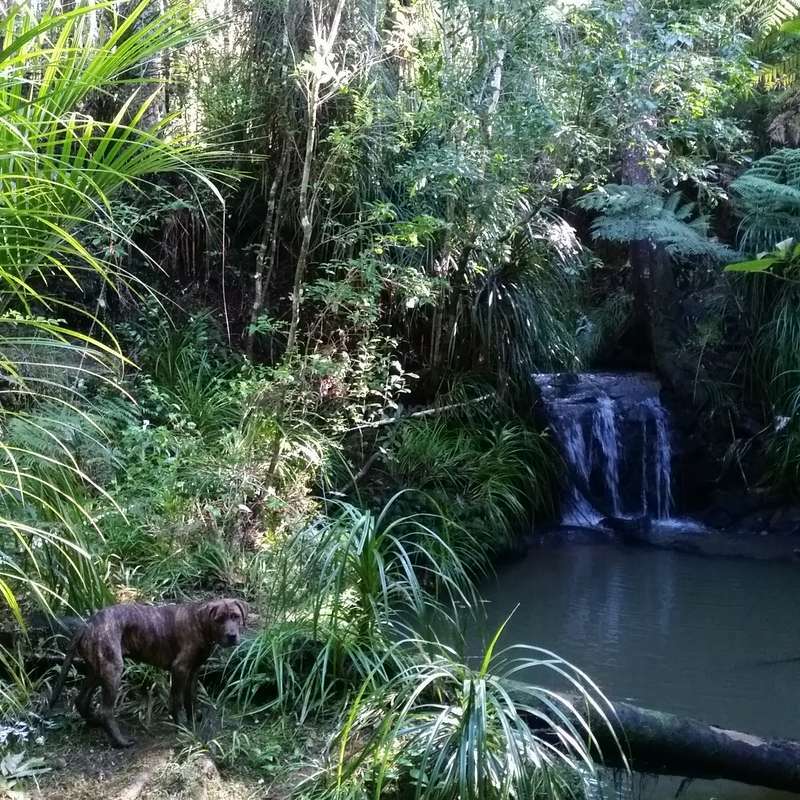 We have a great experience with Liz, she took times with us to explain how Kauri Creek Gardens works. A small and organic garden with a lot of different varieties of micro greens and vegetables (delicious btw!!). 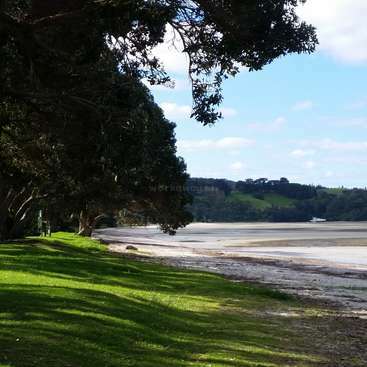 Beautiful area around Snells beach, we could borrow their bikes to visit some places… read more such as Matakana, Algies Bay, High Field garden..
What a wonderful first experience in New Zealand! Liz and Andrew are very kind, generous and inspiring people with many worldly stories to tell. 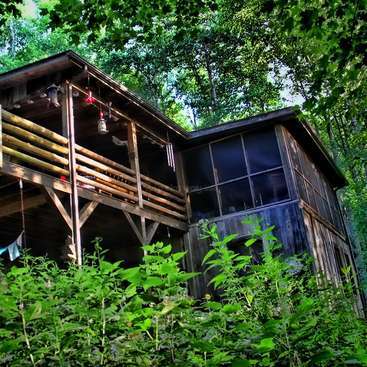 The accommodations are amazing- the eco mini house is private, spacious, with great wifi, kitchen, a comfortable bed, a beautiful jungle view, and a tree house close by. 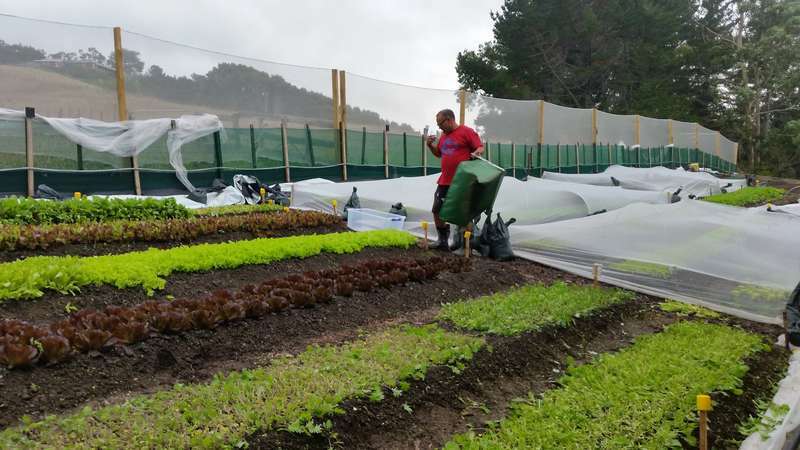 We enjoyed our work in the gardens… read more harvesting micro greens, helping with a small building project, and preparing the beds for planting. I had the opportunity to do some artwork with Mali and Luka and I even had the honor of painting a sunflower mural in the eco house! Having access to a car was amazing to explore the local area. 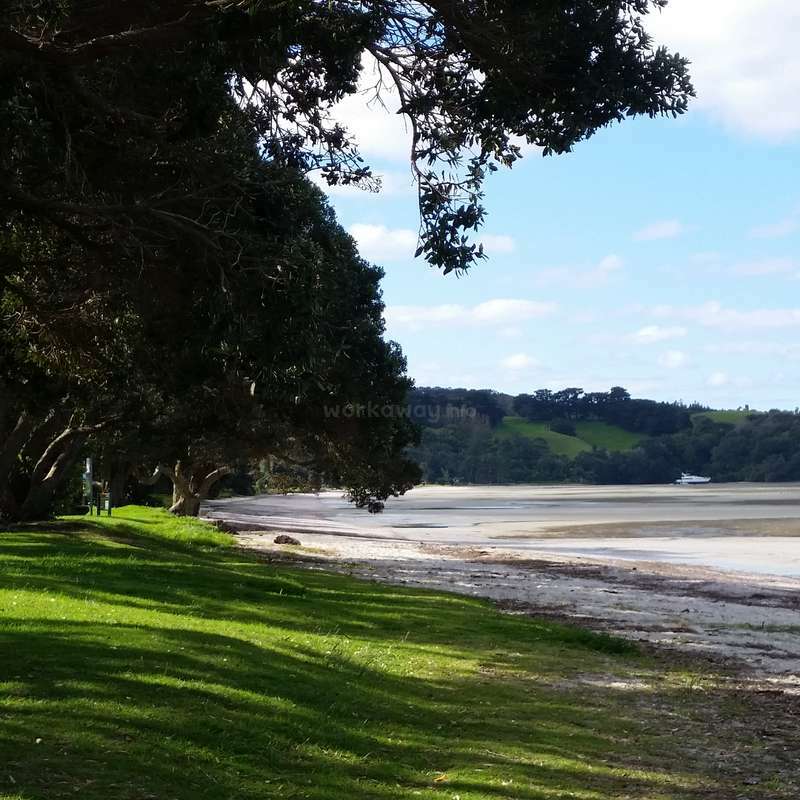 The Matakana market on Saturday morning is charming and we fell in love with the nearby Tawharanui. We love this family and would highly recommend! Thanks Lisa and Marie for everything! it was a real pleasure having you guys. competent, knowledgeable, and hard workers. thanks for the great company and for your love for all our various animals...they, and we, will miss you both! Liz & Andrew and their children Luca and Marley were incredible, even though they can not share much with them since they went on holiday for a few days, they noticed the difference in being understanding and caring. We had good conversations the days we could share. We could see the reality of running a farm and growing vegetables and micro… read more vegetables, as well as their farming and composting techniques. These full of energy accompanied us in the day to day. Thank you for opening the doors to us in your great home! sorry for the delay in writing! we miss you.......!!! This was our second workaway experience. Communication beforehand with Andy and Liz was always swift and informative. We arrived to their (primarily) mesclun mix salad farm and were welcomed with hospitality and warmth right away. We worked 3.5 hours a day, from 8:30 - noon. The tasks ranged from helped sow seeds, prepare beds (tilling, adding… read more compost), chainsawing, washing up bins, to more advanced work such involving woodworking. We learned a lot about small-scale farming and small-business which I'm sure will benefit us in the future. We shared many delicious meals and excellent conversations. I borrowed the bike to pickup supplies at the nearby 4 Square, Warehouse, and veggie stands. Many beaches are nearby, with great swimming and snorkeling. Our time here was peaceful and rejuvenating, and we really appreciated Andy and Liz's flexibility and zest for life! Thanks for the great experience! 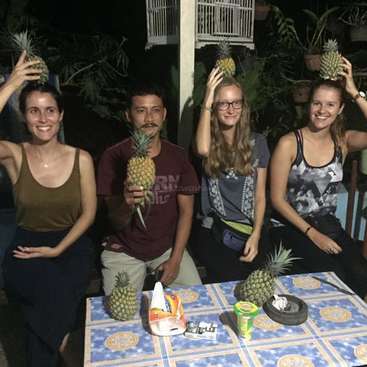 Thank you Andrew, Liz, Luka and Mali for share with us 4 beautiful weeks in your place! It was very interesting experience, We learnt almost everything, We have never did some jobs that We did in this farm, It was a very conforting challenge. We worked 3 hours per day in the farm doing differents tasks everyday. It was a llittle hard but very… read more conforting and life-giving. 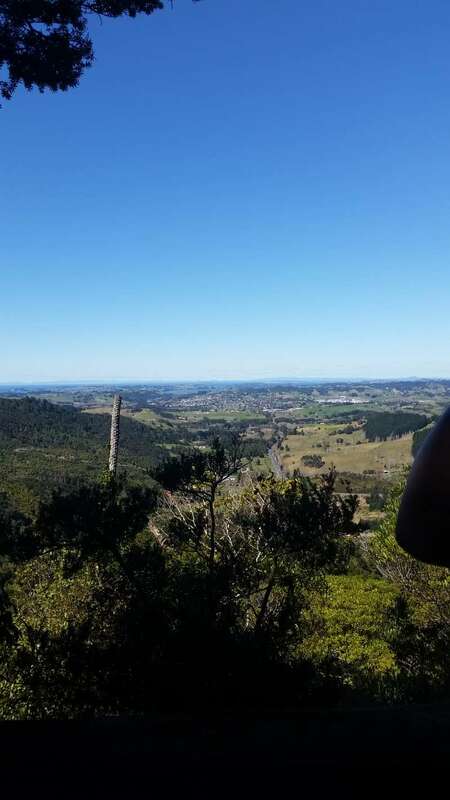 It was beautiful working during the mornings and enjoy the amazing weather here in New Zeland. The place is so beautiful, We really enjoy stay in there. We felt very peaceful. Andrew and Liz are amazing host, all the time with a smile in their face, teach you and help you when ever you need. They are not demanding at all, as long as, you put your good will to work of course. Thank you both for open your home's door and let us be like a part of the family. We hope that the farm keep growing up, you are a very harder workers! and of course you are going to get very far! We spent two amazing weeks at Liz and Andrew's place! The work was really interesting, we learnt new things everyday and it was rewarding to see all the different steps from preparing the soil and planting the vegetables to harvesting and prepare the products for the market. Liz and Andrew are the bests "gardening teachers", explaining how to do… read more things and also why. 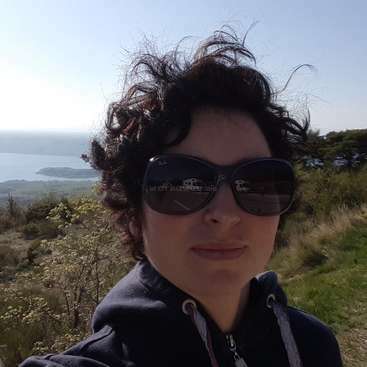 Their project is really interesting and you can feel that they are happy to share it with you. The property is beautiful and the minihouse is so lovely. There is a lot of things to do in the area and Liz and Andrew gave us good advices. We spent amazing moments with all the family and even sometime with some of their friends. We really felt like home and enjoyed good conversation. Thank you so much Liz, Andrew, Luka and Mali for hosting us! Hope to see you again! It was a real pleasure having Yvette and her friend Alessia with us for a week. We would have been happy to have them for longer. They were really hard workers and happy with whatever work we asked them to do. They made us delicious Christmas cookies and we enjoyed socializing with them a couple of times during thier stay... Highly recommended.… read more All the best you guys! We can't recommend Phillippe and Laura enough. They were hard working and enjoyable to work with. They are very sociable, appreciative and easy going. Our kids loved them ('they're our best workaways ever! '),,,a real pleasure to have around! It was our first experience in workaway and I was perfect. The work is not to difficult (gardering, some building etc.) 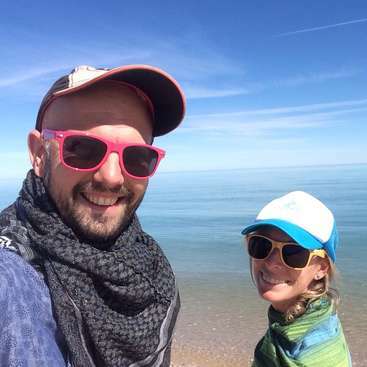 Andrew and Liz take always the time… read more to learn us how to do the thing well. Tree hours of work passed very quickly and after we had all the day to enjoy visiting the nature around. The small house is just perfect, we built a small blue table with Luka to the terrace. Thank you so much again for this experience and we hope to see you in Europe. ps: we hope the tomatoes and the salad grow up very quickly!! good luck for the market!!! Sophie was a real pleasure to have around! she worked incredibly hard and used her own initiative to get done what was needed. She was very discrete living around our family but also sweet with the kids. she's very polite and kind. I would highly recommend sophie to anyone! Have fun in New Zealand Sophie!